Sequel to the critically acclaimed Wild Sorceress and Besieged Adept. 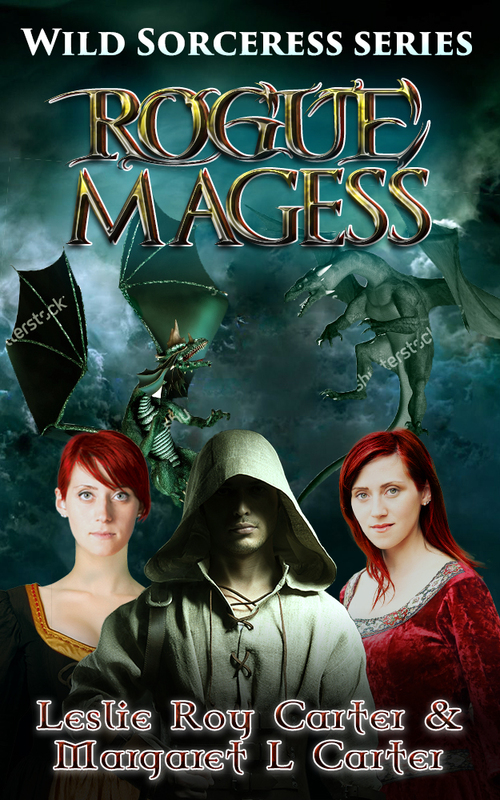 In the climactic sequel to Wild Sorceress and Besieged Adept, sorceresses Aetria and Coleni discover that both their own births and the history of their world have been manipulated in secret by an ancient, powerful race of dragons. Some, like Aetria’s “imaginary” childhood friend Rajii, have benevolent intentions toward humanity, while others want to restore the people of the Domains to total slavery. All, however, have their own agendas with human beings and mortal magic as pawns. Emerging from their long-lost mother’s hidden home in the deserted Non-Lands, Aetria and Coleni find themselves targeted by assassins under control of the dragons. While the sisters’ powers continue to grow, so do the magical gifts of Coleni’s baby daughter, but will their magic provide adequate protection? Meanwhile, still viewed with suspicion for their “wild sorcery,” they can’t convince most of their rivals and allies, including Aetria’s old mentor and the commanding general of the army, that the dragons and the danger they pose are real. Even Aetria’s lover Val shows some doubts. To protect her people, must Aetria challenge the whole Council of Magi and claim a leadership role she never wanted? And should she trust the two mysterious voices speaking in her head?